For many startups, a purchase bid from Google may seem like an offer they can’t refuse. But Yelp has done just that. The search giant was in talks to purchase the local ratings site, but Yelp founder Jeremy Stoppleman walked away from talks this weekend. TechCrunch reports that Yelp turned down an offer of half a billion dollars from the search giant and speculates that it got another bid or partnership that made selling less than necessary. Hopefully the recommendation site has some good tricks up its sleeve, because Google’s recent moves show that the company is serious about local. And while standing athwart Google yelling “Stop!” may seem a noble cause, many companies have crashed and burned with this strategy before Yelp came along. 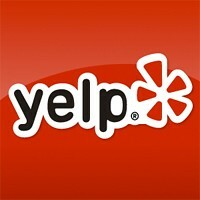 Yelp is a four year old company that has made impressive strides into local. With access to all that local business data, Google would immediately become a serious local player. can get into local without Yelp’s help. But there are clearly a lot of reasons that Yelp and Google could work well together. Yelp’s augmented reality iPhone app would easily dovetail into Google’s Street View map service. It overlays Yelp information over real-time video iPhone users shoot around them. And earlier this month, Google launched a new service called Favorite Places. The search giant currently has over 100,000 local shops that have won approval and will now be equipped with QR stickers that consumers can scan with their phone to download info about them. The new effort clearly overlaps with what Yelp is doing (as well as Zagat’s), and a partnership between Yelp and Google could help cement Google’s footing in the space. 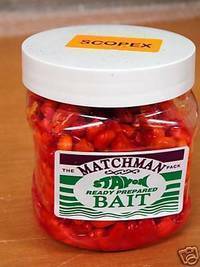 But it’s interesting that Google launched this product before working out a partnership with Yelp. Frankly, it sounded like a warning shot. A partnership between the two companies now could have been Yelp’s way of riding the Google wave through the local market. But the search giant is always willing to go it alone, and they are now set to take a huge chunk out of Yelp’s business. Working with Yelp would be a huge boon to Google, because they could tap into Yelp’s preexisting store of local data to further the project, but it’s also not a neccessity. and reviews in big cities. With other services like Loopt, Foursquare and Brightkite quickly creating libraries of local data in the mobile space, Yelp is increasingly facing competition in the local marketplace. But its existing store of information could be well utilized by a technology company looking to flesh out its local offering. That’s why there’s still a possibility that another tech giant is stalking Yelp. The current speculation posits that Yelp balked on the Google deal because it got a better offer from a Google competitor like Microsoft, AOL or Barry Diller’s IAC. With the current focus on local, Yelp’s store of so much info means it has some negotiating power. But that window may not be open long. Stoppleman may not have liked getting his hand forced into a deal with Google, but it’s hard to imagine a better synergy for its content than with Google. And if the company wants to go it alone, that is likely to be a short journey. For Yelp’s sake, let’s hope that the company has a better deal on the horizon that let it walk away from Google. Because the company could have just signed its death warrant. 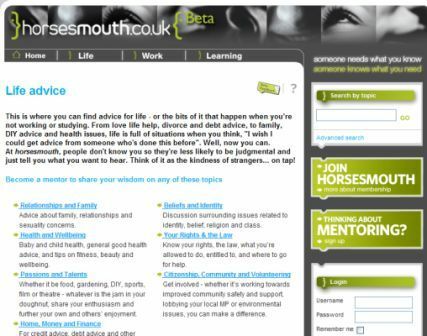 Horsemouth is a new social network, currently in beta, which has been set up to allow people to share their experiences and provide advice for others. Linkbait [ lingk bayt ] SEO noun: the process of creating and promoting content that’s primarily designed to attract links. Standard form: ”we need to create some linkbait”. Passive form: ”…the client’s just been sold three pieces of linkbait per month”. Modern form: ”It’s not linkbait anymore man, it’s all about Likebait now”.